As the Big 12’s dysfunctional expansion process died with a whimper Monday night and the league’s presidents decided to keep the conference at 10 teams, it appeared the University of Central Florida and the University of South Florida (and 10 other finalists) had come up on the short end of the stick. Could be. 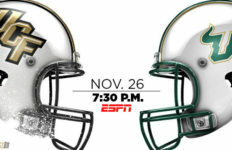 But, it’s also possible that a decade from now UCF and USF could be chuckling and the Big 12 will have gone the way of the dinosaur – or, appropriately, the way of the Southwest Conference. The SWC is an apt analogy for three reasons. To begin with, the SWC was the first casualty of the University of Oklahoma/ University of Georgia lawsuit that ended the NCAA’s monopoly over college football television rights. When the suit was filed in 1981, the then-mighty SWC would place two schools in the top five of that year’s final AP poll. Less than 15 years later the conference was dead. Second, the Big 12 is comprised in large part of remnants of the SWC. Four current Big 12 schools – Baylor, Texas, TCU and Texas Tech – were longtime members. 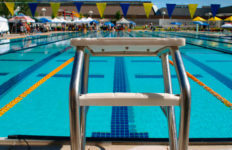 A fifth former SWC school, Texas A&M, was a founding member of the Big 12, playing there from 1996 until – concerned about the Big 12’s stability – it bolted for the SEC after the 2011 season. And, there lies the third and most disconcerting parallel between the SWC and Big 12. The SWC died because it couldn’t navigate the changing landscape of college football, lost its competitive edge (only two Top Five finishers after 1981) and saw a marquee member (Arkansas) flee for another conference. Since Oklahoma and Texas played in the national championship game in, respectively, 2008 and 2009: Three conferences (ACC, Pacific 12 and SEC) have formed their own networks while the Big 12 has no prospects of creating one, only three Big 12 schools have finished in the Top Five and four founding members (Colorado, Missouri, Nebraska and, as noted, Texas A&M) have left for other conferences. Competitively, it isn’t getting any better this year. There are more former Big 12 teams (A&M and Nebraska) ranked in the most recent AP Top 10 than current conference schools (Baylor). The Money Was Real, But . . .
That’s not to say UCF, USF and the 10 other finalists were chasing fool’s gold in seeking Big 12 membership. At this moment, the Big 12 – a so-called Power 5 conference – is still a very lucrative destination. Its existing TV contracts allow it to offer members a per-team payout nearly 10 times as large as that offered by the American Athletic Conference. That’s why it is easy to sense melancholy in the two schools’ very eloquent statements when the Big 12 decided Monday to stand pat. For the time being, UCF-USF remains an AAC game. Mixed with the tinge of regret, though, one finds a real sense of optimism about the future, and not without reason. The dysfunction of the Big 12’s process had to give the prospective members some pause. Why, ultimately, did the Big 12 decide against expansion? Look no further than the reason it considered expansion in the first place: television revenue. Two complex factors are in place here. The first is the desire of the conference’s two main television partners – ESPN and Fox – to ensure they were getting value in expansion. The second has to do with something known as “grant of rights” and Texas’ now-infamous Longhorn Network. BYU would have brought TV sets, and political problems, to the conference. On the first point, the Big 12’s contracts with the two networks required ESPN and Fox to keep per-school payments the same regardless of the conference’s size. Adding two or four teams could have cost those networks a combined $100 million per year, so they were exerting considerable influence over the school presidents to choose wisely. As noted in our last installment, Brigham Young was the only expansion candidate with a national brand that guaranteed an influx of new viewers. But, BYU came with its own set of troubles, namely the Mormon Church’s position on gay rights’ issues. LGBT organizations wrote to Big 12 presidents strongly opposing the school’s admission. In an era when the NBA and NCAA are pulling events from North Carolina over its transgender bathroom law, the LGBT issue cannot be treated lightly. 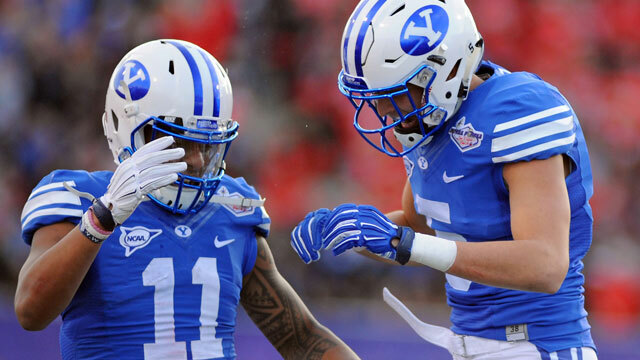 No school other than BYU brought an immediate windfall of television viewers. Houston may be located in the nation’s fourth-largest city, but in reality the Big 12 already has a significant television footprint there. UCF and USF brought the promise of expanded viewership in Florida – but over a long period of time, not immediately. 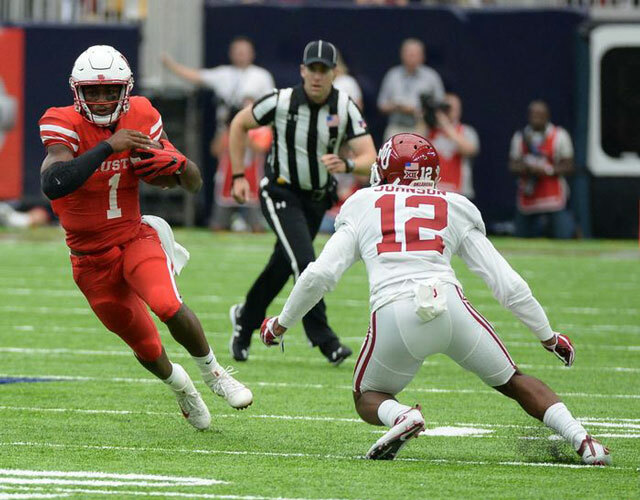 Houston’s upset of OU made the Cougars relevant competitively, but the Big 12 already has plenty of viewers in the Bayou City. The grant-of-rights/Longhorn network issue is even more complex. When the Big 12 was hemorrhaging members in 2010-11, it achieved stability by getting all member schools to sign over their top-tier television rights to the conference until 2025. That means if any school left for another conference, its television rights stayed with the Big 12. The Atlantic Coast Conference did the same thing shortly thereafter when Florida State and Georgia Tech reportedly were unhappy with television payouts in the ACC and looking at moving elsewhere (ironically, the Big 12 was a leading candidate). For the ACC, the grant-of-rights deal paved the way for the conference to form its own television network, which will debut in 2019. At that point, the Big 12 will be the only major conference without a network. It has no prospects for one because Texas refuses to give up the Longhorn Network it formed in partnership with ESPN. That network gives Texas more television revenue than other conference members, and anger over it is a major reason why four schools abandoned the Big 12. 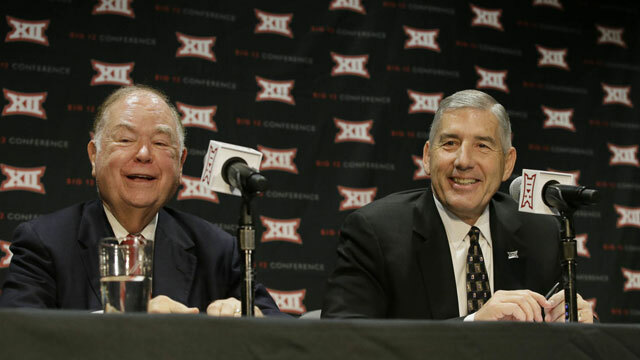 Well before the current grant-of-rights deal expires, the Big 12 will need to prove to its other nine members that their best future is staying with the conference. Big 12 presidents appear to have decided Monday the best path to that future is keeping the network partners happy and hoping its teams use their current financial advantage to build football programs that keep the conference relevant competitively. The one major move the Big 12 did make this year was reinstating its conference championship game, beginning next season. As the only Power 5 conference without such a game, Big 12 leaders felt they were at a disadvantage in having teams selected for the College Football Playoff. As a bonus, the title game almost certainly will be a financial windfall. The outcome of that move may determine whether any future Big 12 expansion is done from a position of strength or desperation. If it is the former, it will cost UCF and USF nothing to apply again at that time. If it is the latter, the two schools may find themselves grateful their Big 12 dreams didn’t work out this week. Photo (top): OU President David Boren and Big 12 Commissioner Bob Bowlsby explain the no-expansion decision.